Growth is great for companies, right? Not always. There are so many problems when experiencing business growth that can occur if the leadership is not careful. Besides the uncertainty of how long this growth period will last and how big the company will grow, companies loose focus on some basic key factors. 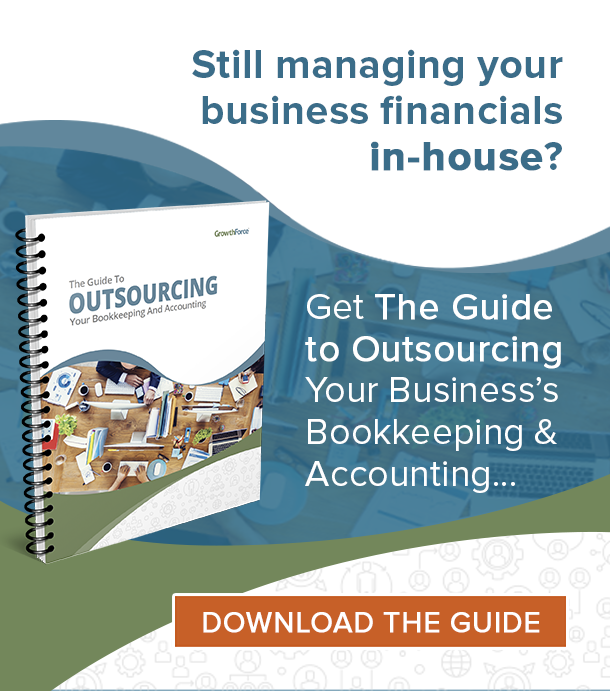 This can include not managing working capital, hiring the right employees, not scaling effectively, customer service, and having less efficient operations. Every company has strengths and weaknesses. Do you know yours? Start working on enhancing your strengths and resolving your weaknesses with our Internal Analysis whitepaper. What happens to growing companies? It all revolves around sales. The sales team and CEO are so excited about all the additional new sales and customers. Unfortunately, some of the day-to-day items fall through the cracks. This includes cash management, internal processes, management/leadership, and systems. But growth can be managed if financial leadership is looking far enough ahead and close enough in. Growing companies don’t always land into sticky situations, but there are some issues that need to be addressed. Cash is king. Growth usually comes at the price of consuming cash… Buying more inventory to meet the sales, hiring more people and increasing SG&A. I say that in almost every single blog I post because I cannot emphasize it enough. The #1 thing business growth does is make companies cash poor. The management and forecasting of working capital is critical in a high growth situation. Before you know it, vendors are collecting their accounts receivable yet you have not collected your A/R. Inventory is consuming cash in order to meet sales. It’s a recipe for disaster! 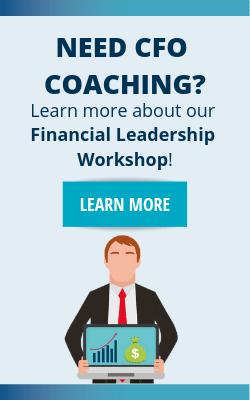 Need help managing your cash? 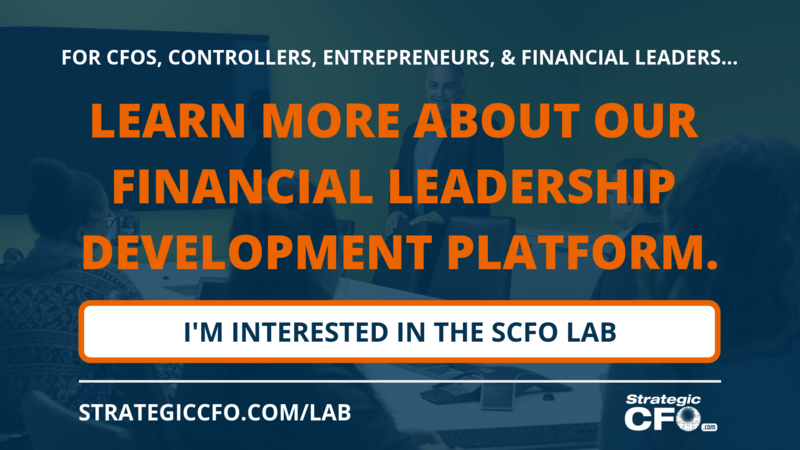 Inside our SCFO Lab contains 13-Week Cash Flow Reports, Dynamic Cash Flow Projections, Cash Flow Tune-Up Tool, Daily Cash Report, and the A/R Optimizer. Click here to learn how you can access all of that and so much more. Another thing that happens to growing companies is the increase of inefficiencies in operations. The goal is to push out as much product as possible, but oftentimes to do that, corners get cut. Product quality decreases. And customers are not happy. It also may be the inconsistency between products and/or services as there are no standard operating procedures (SOPs) written down. If you customers get hurt by a decline in quality or service, then you may have some permanent damage. In addition, companies may have an influx of new employees that are not being trained effectively and/or at all. While management mistakes covers a variety of potential issues, let’s look at two. One of the biggest mistakes is not taking care of the employees. Management is scrambling to scale-up to push product out the door and to continue bringing in the sales. But when stress is high and people aren’t being taken care of, you risk increasing employee turnover. This also includes knowing when to bring on new talent. If management is not continually recruiting and looking for new talent to help even the load off of current employees, then you risk further increasing employee turnover. Remember, the cost of employee turnover is on average $65,000 in the U.S.A. according to some studies. The second biggest mistake is letting inefficiencies run high. At some point, there has to be a stop to letting inefficiencies continue. Financial leadership should be working with other departments to find better solutions that will deliver the same results. Your basic dashboards are very critical in a high growth situation. If there are no other solutions, then you need to focus on the customers you have now versus continuing to grow. Another problem that occurs during a high growth period includes not scaling up. Are you getting the systems you need to run your business effectively? For example, a company is using a customer relationship management (CRM) system like Zoho or Bitrix – designed for small companies. However, this company triples overnight. They have outgrown their current CRM system. Instead of choosing a system that was for where they were at, they should have forecasted where they thought they were going and on-boarded a system that was maybe a little bigger for them to grow into. The best way to address problems when experiencing business growth is to first look internally. 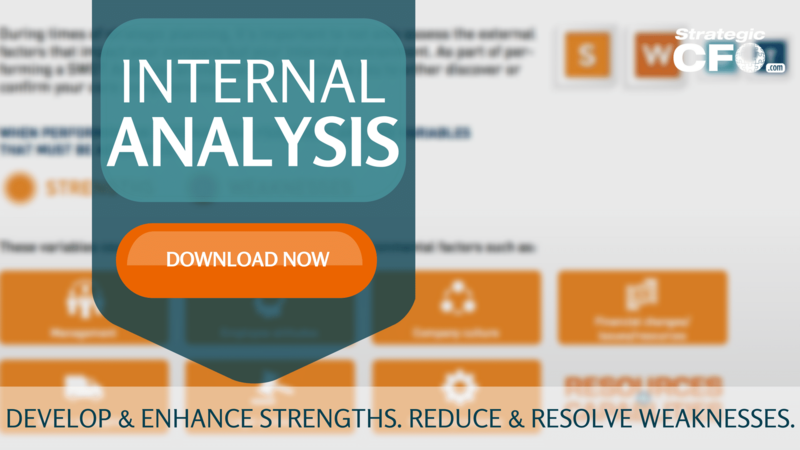 Access our Internal Analysis whitepaper to analyze your company’s strengths and weaknesses. Let’s look at a case study about a company I worked with recently. They are manufacturer of industrial parts and had experienced growth for $20 million in revenue to nearly $100 mm in revenue in just three years. The company had a basic accounting staff but no financial professional on staff. Why? Because according to the owners, they are too expensive. The company quickly outgrew their accounting system. In addition, they purchased raw materials aggressively. The sales guys were living the dream with non-stop sales orders. They literally could not keep up with all the new sales orders. The manufacturing facility was now on three shifts to cover all orders. The company also did not want to spend the money on a second plant supervisor. What were the results? It created a high stress environment. Cash became very tight and sales were being generated, but the order to cash cycle increased to almost 100 days. In addition, the quality of the products suffered because there was not proper supervision for the second and third shift. The accounting records were also not correct and reliable. Instead of the records being generated for large accruals and proper costing of products, they were generated by a basic accounting staff who were no equipped. Furthermore, margins were not reliable for management to use. Cash got tight quickly. The line of credit was maximized very quickly. When the lender challenged the compliance certificates and the financial statements, the ownership started to get concerned about the “back office”. This financial distress and stressed out employees/ownership could have all been avoided with proper planning and forecasting. When navigating business growth, it is important to know both your strengths and weaknesses. Ignorance to those two things risk inviting for unoptimized strengths and weaknesses that turn into major threats. Access our free Internal Analysis whitepaper to assist your leadership decisions and create the roadmap for your company’s success. A great insight into the world of small businesses. I have been though start-up, growth, expansion and every challenge we both have experienced.